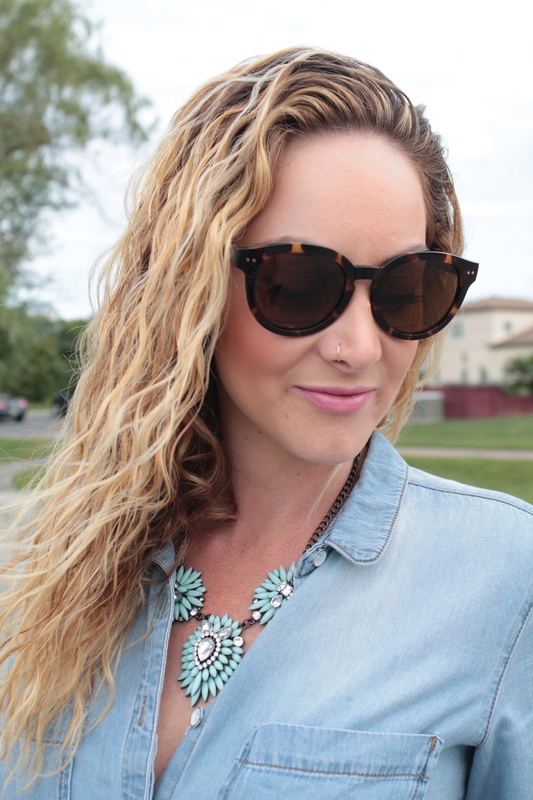 I’ve said it a million times, the chambray shirt is and always will be a wardrobe staple! If you don’t have one, invest in one now. It can be worn throughout every season in a handful of different ways. One of my favorite ways to wear this shirt on cooler days is tucked into a great pair of white denim pants with a fab pair of shoes. I am truly going to miss my summer wardrobe (not the heat or humidity, mind you) but definitely the wardrobe! I love just waking up in the morning and throwing on an easy sun dress and heading out for the day, however, it’s almost too easy. There is a certain excitement that comes with fall fashion, isn’t there? So many fun ways to dress up and play with your wardrobe and a lot of fantastic ways to incorporate summer pieces in there, like I did with these white jeans. A cool chambray shirt is so versatile! 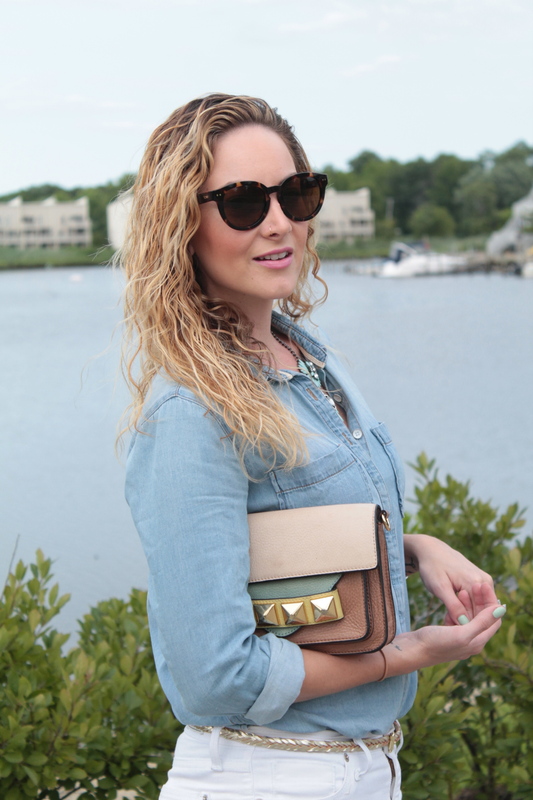 See a few other ways I styled chambray here and here. Side note, the chambray tunic I had from A Pea in the Pod was one of my favorite maternity pieces, ever! It was the most comfortable top I owned at the time, so if you’re a mommy-to-be, definitely pick one of those bad boys up, you will love it!